Stunning portrait, spot-on, Voted ! Very nicely detailed close up. Love the touches of blue, have never noticed that on a crow. A wonderful closeup with great detail. Great detail and so nice with the catch light and this background. "V"
Fantastic sharp portrait of this crow. Fantastic detailed portrait of this handsome crow. 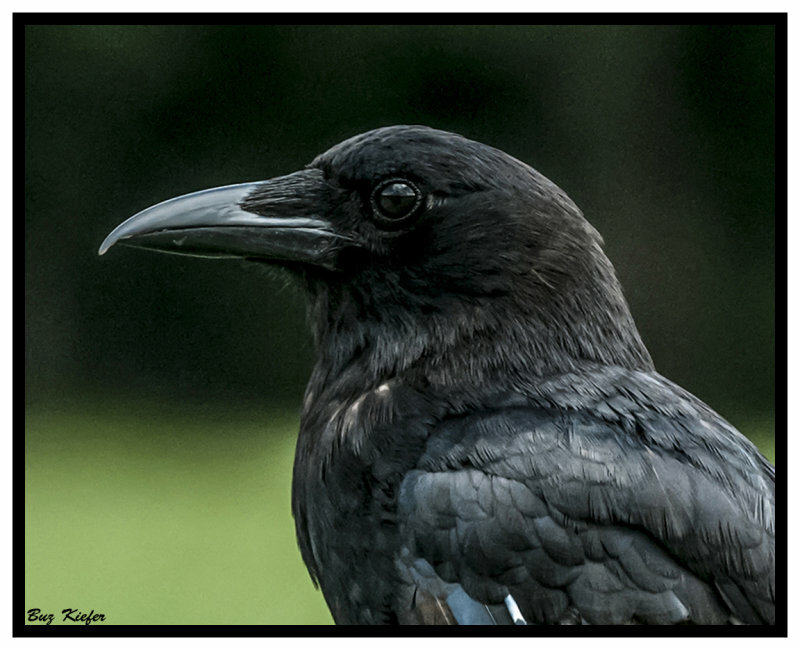 A stunning portrait of this beautiful crow, Buz.V!!!! Look at the colours on those feathers. What a handsome bird. Excellent sharp, well crafted image. V.
Beautifully exposed and sharp eye. beautiful portrait of this crow.V. A fine image of the intelligent crow! What a great portrait of this crow! The detail, even in the very black feathers, is superb. V.
Amazed at the details in this crow. Voted. Expertly captured this is a fine image Buz. BV. The tones look like burnished steel and a vicious beak. A fine detailed closeup "V"
Beautiful portrait. Wonderful handling of the exposure and very nice detail.